Enjoy Incredible Bali with Our Super 4 Days Package. Experience the Rich Indian Culture with Tours, Tickets, Museums, Guides, Sighteseeing and more, all included! No Nepal travel package, is considered complete, without a visit to the Chitwan National Park, Nepal’s oldest national park. Its rich abundance of flora and fauna and its age has earned it World Heritage Status. Chitwan is an excellent eco-friendly destination, renowned for it’s Elephant safaris, Tiger and Rhino sightings. Chitwan --- Chitwan National Park is the first national park in Nepal. Formerly called Royal Chitwan National Park it was established in 1973, and declared a World Heritage Site in 1984. Chitwan National Park has long been regarded as Nepal's third biggest attraction after trekking and the Kathmandu Valley. This huge and beautiful nature reserve protects 932 sq km of sal forest, water marshes and rippling grassland. The park is one of the last refuges of the endangered one-horned Indian rhino and there are sizeable populations of tigers, leopards and rare Gangetic dolphins. There are more than 43 species of mammals in the park. The park is specially renowned for the protection of the endangered one-horned rhinoceros, tiger, gharial crocodile along with many other common species of wild animals. There is also a sizeable population of endangered species of animals such as gaur, wild elephant, four horned antelope, striped hyena, pangolin, gangetic dolphin, monitor lizard and python, etc. 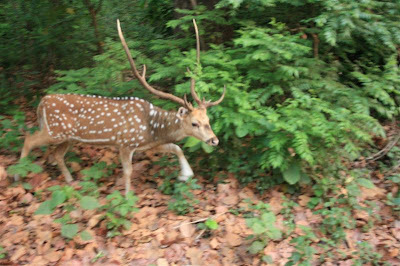 Other animals than can be sighted in the park are samber, chital, hog deer, barking deer, sloth bear, common leopard, ratel, palm civet, wild dog, langur, rhesus monkey, etc. Chitwan is also called a Bird watcher's paradise ,there are over 450 species of birds in the park. Among the endangered birds found in the park are Bengal florican, giant hornbill, lesser florican, black stork and white stork . Commnly seen birds include peafowl, red jungle fowl, and different species of egrets, herons, kingfishers, flycatchers and woodpeckers. In addition,there are more than 45 species of amphibians and reptiles to be found in the park , some of which are marsh mugger crocodile, cobra, green pit viper and various species of frogs and tortoises. An interesting feature of Chitwan National Park, is the way safaris are conducted . In addition to the options of Elephant and Jeep Safaris, it is also possible to do Canoeing trips and Walking Safaris. Wildlife Package for NepalYour trip to Chitwan National Park begins with a pick up from your hotel in Kathmandu, for the drive to Chitwan. On arrival in Chitwan check in at the lodge. Afternoon, safari into Chitwan National park. Overnight at your lodge in Chitwan. Full day jungle activities as per lodge programme. You will have the option of Jeep or Elephant back safaris into Chitwan National park. There is also the option for boat trips, and jungle treks, all of which offer excellent wildlife and bird watching opportunities. Transfer to Kathmandu airport in time to connect flight for onward destination. The extreme geographical diversity of Nepal combined with its location in the transition zone between the Palearctic region to the north and the Oriental realm to the south has endowed Nepal with one of its biggest treasures: a diverse wealth of flora and fauna quite inconceivable for a country of its size. The National Parks of Nepal's lowland Terai are among the best in Asia. Comprising grasslands, sal-,and riverine-forests, they are home to an abundance of wildlife. 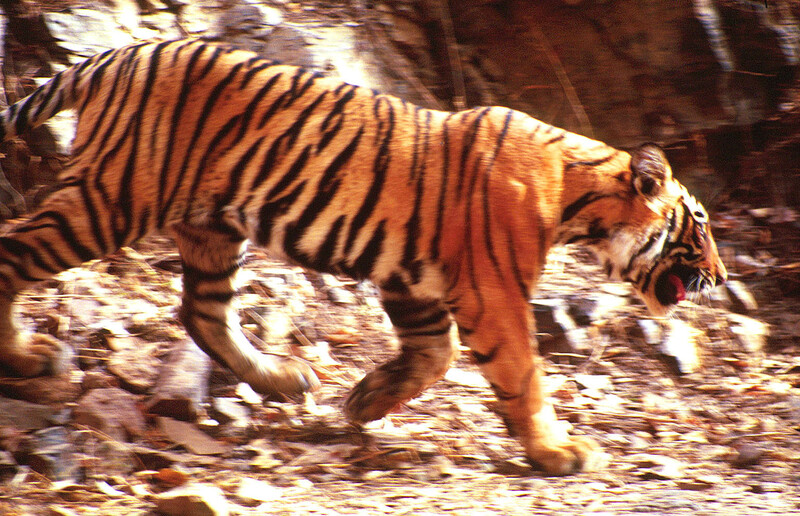 The Royal Bengal Tiger, the most difficult of the big cats to observe in the wild, roams these dense jungles stalking the sambar, chital (spotted deer), and the blackbuck. 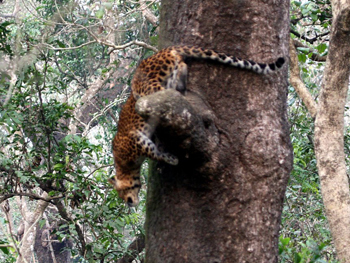 Leopards and other lesser cats compete for prey. The great Indian one-horned rhinoceros wallows in the swamps; water buffalo and gaur – the largest of the world's wild cattle – ruminate here. Other mammal species include the sloth bear, the langur and rhesus monkeys, wild dog and hyenas. The endangered gharial crocodileThe rivers flowing through these reserves are the playing grounds of the Gangetic Dolphin, and two species of crocodiles: the marsh mugger and the thin-snouted, fish-eating gharial. Over 800 species of birds have been identified in Nepal -- that is over half the total of the Indian subcontinent and approximately a tenth of the world total, in a country that covers a fraction of one percent of the earth's landmass! Naturally, bird-watching here is some of the finest in the world. The Giant Hornbill, the Paradise Flycatcher, the Large Pied Kingfisher and the Racquet-tailed Drongo are some of the more exotic birds that can be spotted in these forests. The wildlife lodges in Chitwan, Bardiya, or Kosi Tappu offer comprehensive 3-/ 4-day all-inclusive tours, available round-the-year except during the Monsoon (June-September). Most of the lodges are built with local materials in traditional style, blending perfectly with the surroundings. All lodges have resident naturalists who accompany you on your excursions. A wildlife safari in any of Nepal's national parks and wildlife reserves is a memorable, educational, and relaxing extension to an exhilarating adventure holiday.